These are commonly used in snack and multi price soda machines. 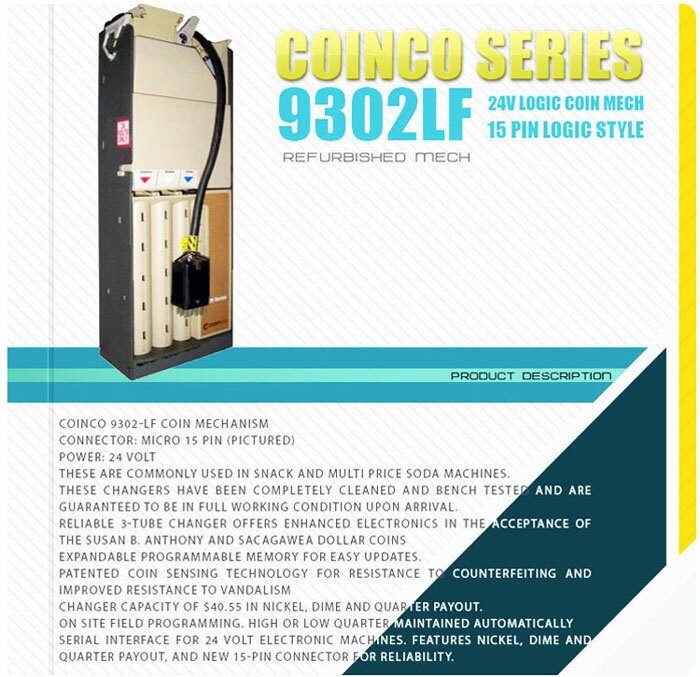 These changers have been completely cleaned and bench tested and are guaranteed to be in full working condition upon arrival. Expandable programmable memory for easy updates. Changer capacity of $40.55 in nickel, dime and quarter payout. Serial interface for 24 volt electronic machines. Features nickel, dime and quarter payout, and new 15-pin connector for reliability.